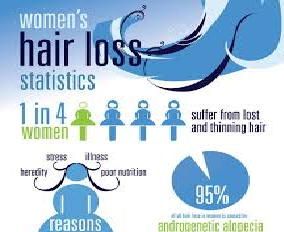 Hair loss problems for women are more complex than those for men, medically speaking. It follows that finding the appropriate treatment is similarly more complex, so an ally that can help you through the maze is more than welcome. 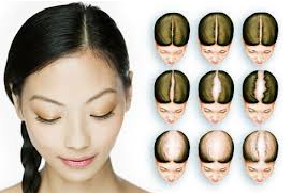 Start reading the list of potential triggers for hair loss in women and you will quickly convince yourself that it is amazing there are any women with hair at all. Everything it seems from illness and surgery to shocks and pregnancy can result in hair loss that could be described as anywhere between mild and catastrophic. Having noticed the increased shedding of hair, hairbrushes plug-holes and pillows are the usual early indicators something is not right, it is vital to get a correct diagnosis. The silver lining of all those potential triggers is that there are many instances where the hair loss is temporary, a return to a full head of healthy hair may takes many weeks or even months but is achievable. Of course for those with female pattern baldness this is not the case. 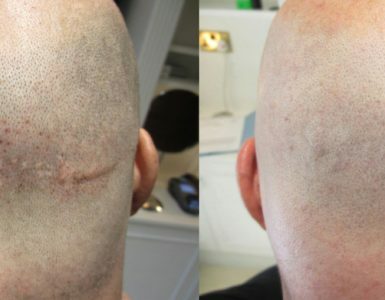 While the presentation is different to men, in that the hairline typically stays intact and the thinning is more diffuse and spread across the top of the head, the prognosis is pretty much the same – it is virtually impossible to regrow the hair follicles that have become dormant. The words of a trichologist ring true when she spoke on the subject a while back , she said that if a client comes to her and a year later is still in exactly the same condition that should be considered a result. Expectations need to be realistic. The huge range of solutions on offer can be bewildering: Herbal remedies; Shampoos; PRP; Laser Therapy; Mesotherapy; Rogaine – remember that for every one of these bona fide treatments there are dozens of hokum snake oil solutions promising the earth. Finding the right treatment, or combination of treatments, can be a huge challenge for a hair loss sufferer with no prior knowledge. 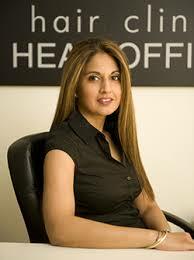 Ranbir Rai-Watson is uniquely qualified to provide support and advice for women suffering any form of hair loss. Ranbir was the co-inventor of SMP and the co-founder of HIS Hair Clinics. Her Masters Degree in Education saw her implement the training, processes and procedures that have seen HIS grow to become the respected global business it is today. That is just half the story though, Ranbir has been on her own hair loss journey. 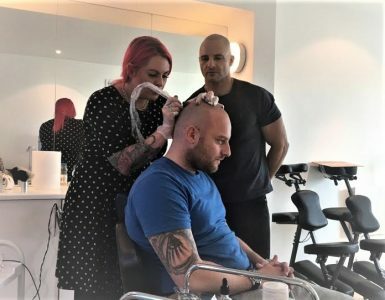 During that difficult process she learned for herself just how bewildering the options can be, were it not for her deep understanding of hair and hair loss, along with her wealth of contacts among hair loss professionals, she might not have achieved a return to a full head of hair. These days she uses that experience and the contacts she has developed to help women all over the world with their hair loss on a website dedicated to women. 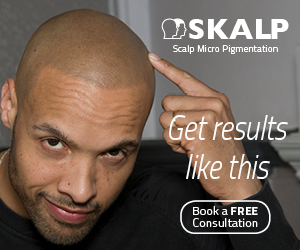 In the poorly regulated world of hair loss individuals like Ranbir, committed and honest, stand out. We regularly refer women at the end of their tether into her hands for the advice and support we know they will receive. Our recommendation is not to wait till you reach the end of your tether. Whether you have just discovered need help with your situation then please write to us at info@smpdebate.com – We can offer advice and connect you to a trusted womens hair loss expert near you.